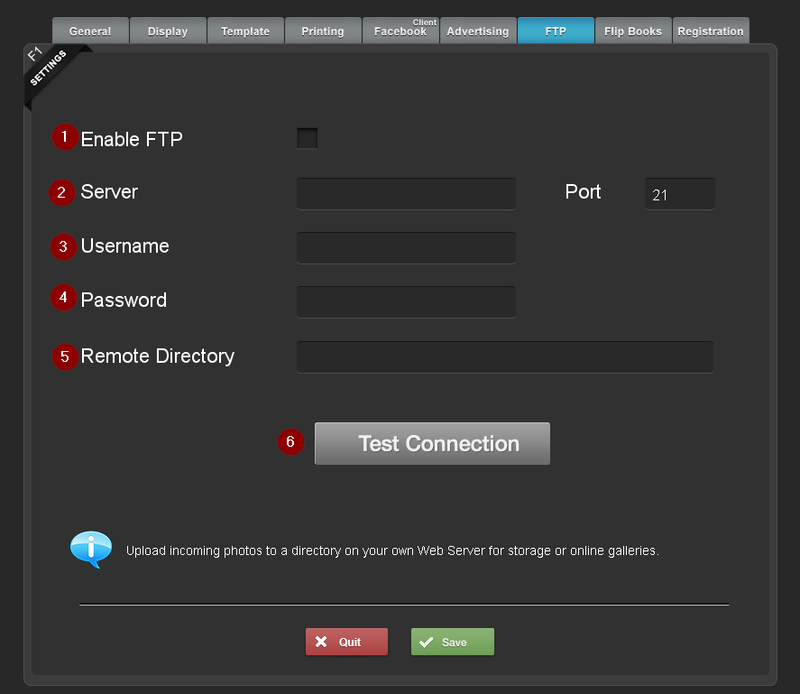 This enables the background FTP uploader. All incoming files will be uploaded to an FTP site. Click here to test the FTP connection and that the info that you entered is correct.